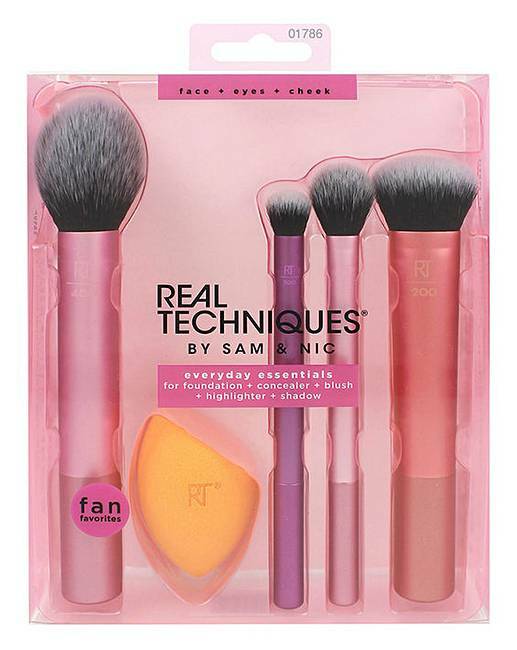 Real Techniques Everyday Essentials is rated 5.0 out of 5 by 2. Real Techniques Everyday Essentials brush combination is your one and done set to master pro-styled looks for face, cheeks and eyes! It includes the 400 blush brush with tapered, soft and fluffy bristles which blends powder blush evenly for a smooth, natural look. The Miracle Complexion Sponge made from soft, flexible foam to blend liquid and cream foundation into a luminous, dewy finish, which can be used dry for full coverage or damp for dewy glow. 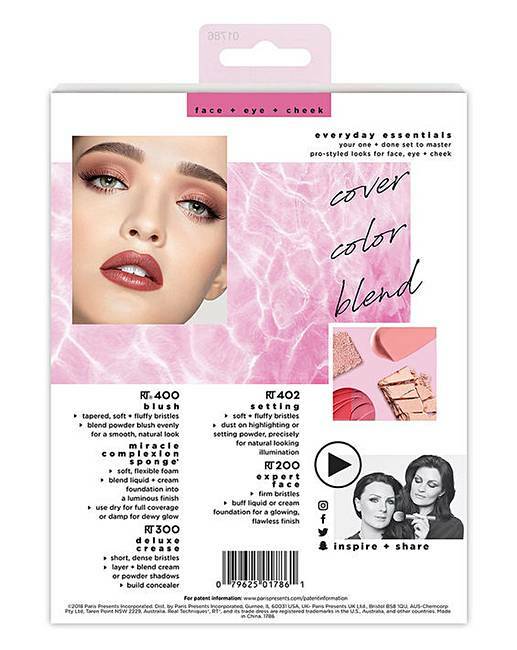 The 300 deluxe crease brush with short, dense bristles to allow you to layer and blend cream and powder eyeshadows evenly into eye crease. The 402 setting brush with soft and fluffy bristles to dust on highlighting or setting powders precisely for natural looking illumination. 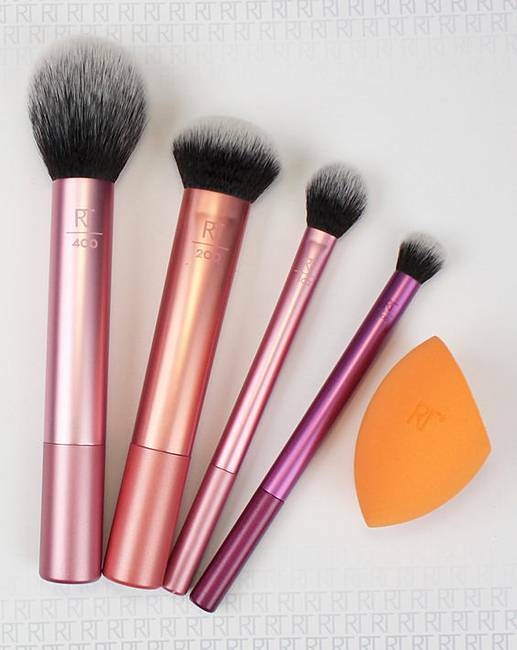 The 200 expert face brush with firm bristles to buff liquid or cream foundation to a glowing, flawless finish.